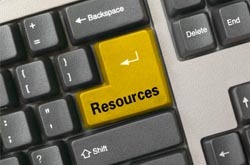 There’s a lot of people starting youth ministry resource websites, but is that what we still need? Are we really THAT under-resourced? I had some good dialog both publicly and privately about that statement. My sentiments are that there are already several people and organizations who are doing a great job with resourcing while there are other needs youth workers have that are remaining largely unaddressed. Why don’t the new start-ups try to serve us in ways that no one else is doing rather than jumping into a market that’s already populated with very high-quality resource products and services? Like, what about soul care for youth workers, emotional support, and help with vision casting? But I guess it probably depends on where you assume the needs are and how well that need can be monetized (which is important for sustainability and scaling). There have been several surveys conducted about “what are the greatest needs of youth leaders,” most of them pretty informal, and they all come back with different answers. Without naming the studies, one said the greatest need was that youth workers feel unsupported by their churches and sr pastors. Another study said they don’t know how to effectively lead others. And yet another said they are under-equipped. What do you feel a youth worker’s greatest needs are? Please leave your thoughts in the comments below and help me think through this. Thanks!